An amazing construction feat, the Hoover Dam is breathtaking. 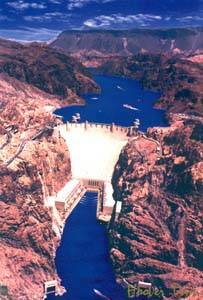 Hoover Dam is one of the manmade marvels of the world. Pouring of the vast amount of concrete started on June 6, 1933 (overall project started on March 1931) and construction was done on May 29, 1935. Postcard size is 6 inches by 9 inches. Minimum order is 10, Free USA shipping on all quantities of 10-10,000. Orders processed within 48-hours and shipped First Class mail. Retail price per postcard is $2.50.